Japanese automaker Nissan announced on Monday a global premier of the Datsun brand by unveiling the Datsun Go in New Delhi. This marks the return of the iconic Datsun brand after 32 years. The name of the hatchback 'GO' itself is inspired by the very first car by Datsun called the DAT-GO, launched almost a century ago. The GO looks stylish and doesn't feel like a car which will retail under the Rs 4 lakh mark. The front-wheel five door hatchback has a length of 3,785mm, height of 1,485mm and width of 1,635mm. It has a wheelbase of 2,450mm. The stylish one-piece grille which looks similar to the ones from earlier Jaguar cars makes quite a statement for a car which will retail at the lower price spectrum in the Indian car market. The sides and rear looks Maruti A-Star/Nissan Pixo inspired. 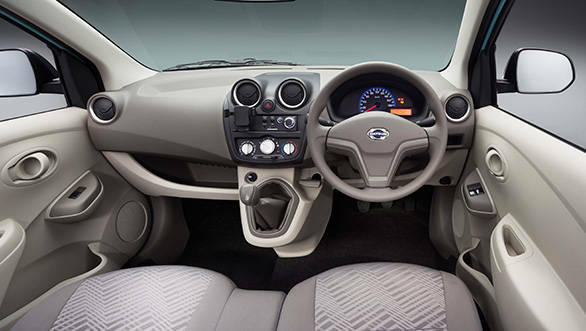 The cabin looks decent with Micra-like door handles, a digital tripmeter, three-spoke steering wheel, manual AC and front power windows. A unique feature is the presence of a mobile dock holder. The gear lever is dash-mounted like in the Hyundai i10. The front and rear seats look spacious and should seat five comfortably. 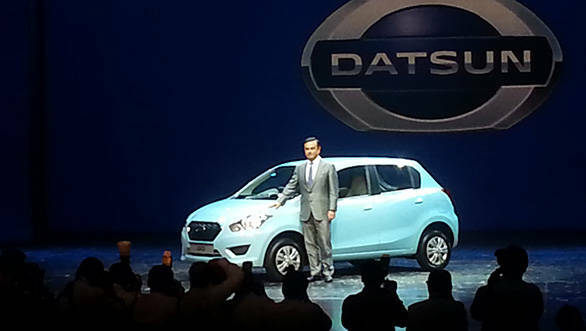 Datsun will be launching the GO in India with a 1.2-litre petrol motor borrowed from the Micra. This engine, however, will make lower figures than what the Micra makes currently, and will be mated to a 5-speed manual transmission. 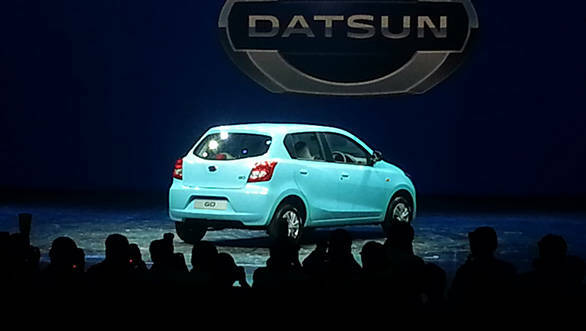 Datsun says that it has concentrated on making the GO a very easy to drive urban car. The cost of ownership overall will also be kept as low as it can be to attract first time car buyers to the Datsun fold. After its India launch, the GO will be launched in Indonesia, Russia and South Africa in late 2014.